I promise that I don’t adore every single mascara that I try, despite how things have appeared around here lately, it’s just that I’ve had very good luck in recent months in terms of picking up gems — first my staple Maybelline The Falsies, next the new love of mine, L’Oreal Voluminous Million Lashes Excess and finally this one, the Revlon Grow Luscious Bold Lacquer Mascara. This mascara retails for the pretty standard $9 dollar pricetag and I have to say that it’s a really great mascara but it isn’t the be all and end all for me due to my preferences. As I’ve said before, I naturally have long and pretty curled dark lashes and I preliminarily look for volume and tend to favour drier formulas — because of this, the formula of this one is too wet for my liking. With this in mind, it’s much less of a wet formula than the hyped L’Oreal Voluminous Mascara and I prefer it as a result. It’s large brush is made of natural bristles and although I haven’t used it in a while, the mascara reminds me so much of an old mascara love of mine, the Benefit BadGal Lash Mascara and in a good way. The natural bristle brush ensures that on days like today when my eyes are sore and itchy (hayfever, woo), the brush does not feel like it’s jabbing into my eyeballs. The mascara provides a good deal of volume, enough to be impressive on that front whilst not being the most volumizing mascara in the world. However, the mascara does not advertise to be, considering that it’s marketed as a volume and length mascara – on these terms it delivers. It’s really lengthening at the same time without verging into spider-lash territory. It doesn’t provide much separation or curl, though. It doesn’t flake or do anything else as annoying in my experience but actually removes fairly easily with my Bioderma and doesn’t cling to my lashes for dear life. This is a nice thing, by the way. What’s your current favourite mascara? It’s rare that you’ll see a mascara (other than my beloved standard Maybelline The Falsies) mentioned here, but I feel that this L’Oreal offering deserves not just a mere mention but it’s own review post, solely based on its merit. While I can’t quite bring myself to say that the L’Oreal Voluminous Million Lashes Excess Mascara has topped The Falsies in my ranking of mascara loves, I can’t say that it’s inferior to it in any significant shape or form. It’s time for a fun fact: long before the birth of this little place that I call my blog, I used to use the Voluminous Million Lashes standard mascara, which did give me great results but seeing as it was on the difficult side to remove thanks to my beyond-sensitive eyeballs, I wasn’t ready to commit to it. 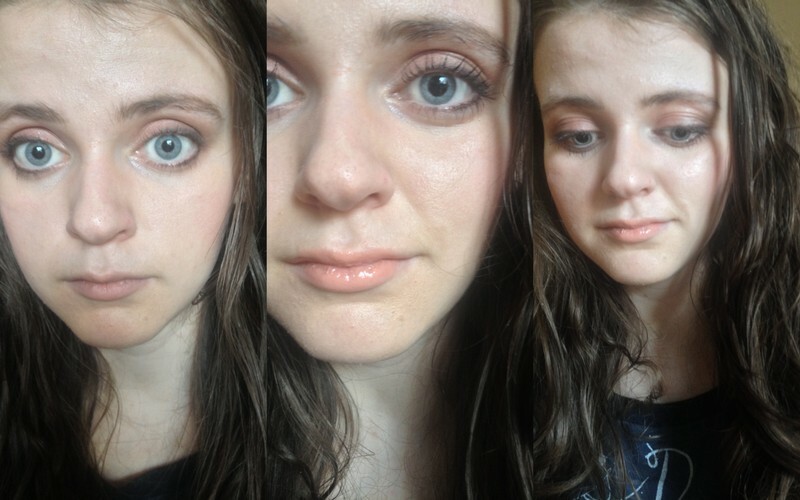 So I went for the newly-launched sister mascara, the Voluminous Million False Fibre Lashes and man was that a fatal mistake; the mascara became the bane of my existence, stabbing the sensitive eyes with the fibres themselves and being even more impossible to remove, despite being the regular and not waterproof formula. 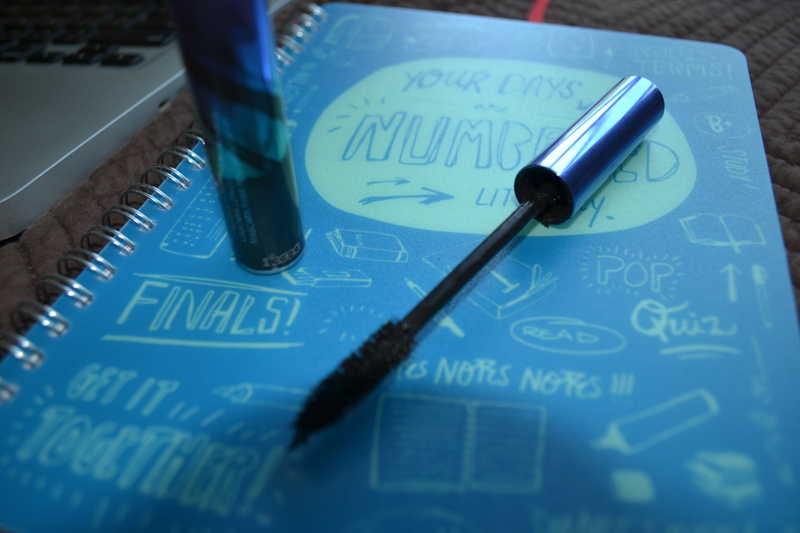 So I held a grudge against L’Oreal mascaras for a while… until I heard everyone raving about the original Voluminous formula. You know how this one went, I tried it and used it up but wasn’t wowed. But then I went for this one. As one might expect, it’s similar to the original Voluminous Million Lashes, however the wand is both longer and thinner, adding extra definition to the lashes. The change in wand here makes the formula great for the lower lashes as well as the upper ones, very separating and generally fantastic at giving the best-of-both-worlds big overall lashes. And the formula is not a particularly wet one, so it wins bonus points in my book. What is your favourite mascara? Have you tried this one? P.S. I’m sure that you can figure out that in the picture at the top, the first photo is before mascara and those that follow are detailing the results. Oh, and it’s around the ten dollar range in price if you weren’t aware. I haven’t dropped off of the face of the earth, I promise. In last months post I complained of the stress and busyness of that month; this month was that tenfold. It’s started getting very cold this month and I’ve been exhausted, up to my neck in work, fighting off a cold and very sleep-deprived. At the moment, I’m in the middle of possibly the most stressful and intense exam-period in my life – writing three papers and studying and writing three exams in the next week. Eek. This is my escape and it is much appreciated. Much. I have no words. I’m not sure how I’m alive at the moment but I do appear to be so here goes. I forewarn you that this post has the potential to be extremely questionable with the state I’m currently in. Hello, December. Although it seemed slightly rather orange-toned for the first few applications, it has made it into my daily makeup routine. With its slightly radiant finish, it sits well over my dry patches and when blended properly it looks natural and luminous. The longevity is fantastic too and it doesn’t go streaky or patchy. 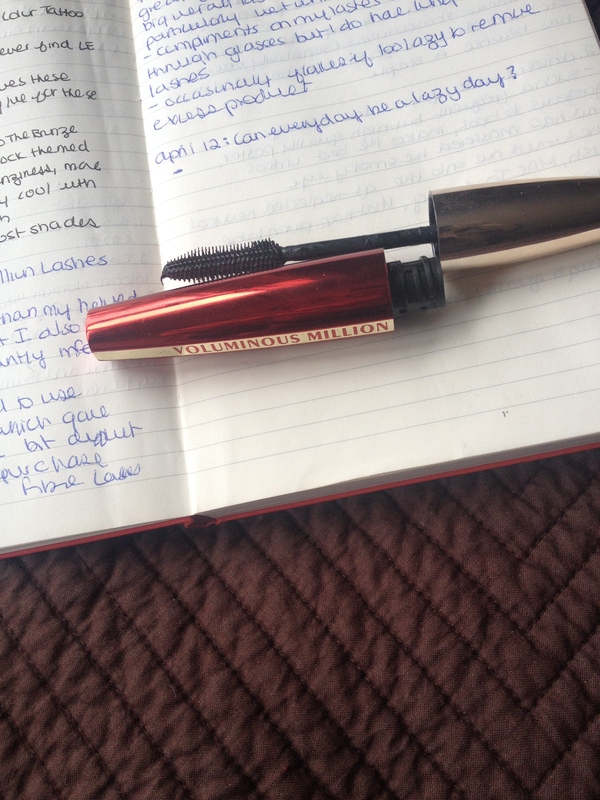 I would not hesitate to say that this is my favourite mascara of all time. It’s not particularly clumpy, even at its wettest when its first opened and provides the dramatic but not particularly artificial-looking volume and curl that I like some length too. My inner lazy girl loves how it can be worn on both top and bottom lashes and its easy to remove as well. 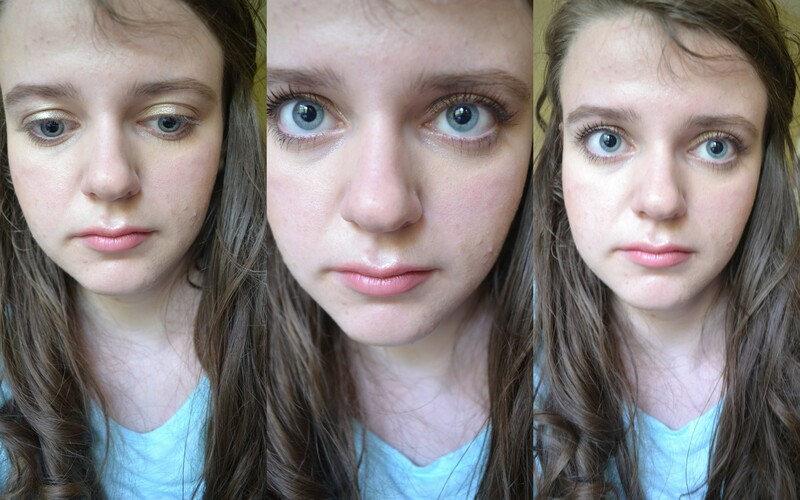 The only slightly negative point to this mascara is that slight flaking can occur by the end of the day. I opened a new tube this month and fell in love with this all over again. This rather expensive (but worth it in my opinion) palette has remained in constant use this month. The colours are amazing quality and versatile, going more dramatic or creating the perfect eye to pair with bolder lips. The shimmery pink highlight is the best brightening shade for the inner-corner as well, I discovered. I think the golden taupe tones of this palette make it so versatile and easy. The shades are pigmented, smooth and buttery like nothing else. Love. It’s completely worth it in its simplicity. I talked about coconut oil in my fall skincare update post and as expected, it’s made its way into my everyday routine. It’s antibacterial and I find that it helps calm the skin and prevent scarring afterwards but I love to apply it over my moisturizer to soothe the skin and lock in the moisture in my perpetually-dehydrated skin. It can really help to combat dullness in the skin and get rid of irritation-based redness. Late spring I redeemed my Sephora BI points and I picked this up and a few samples as my 500 point perk but it’s really this month that I’ve fallen in love. 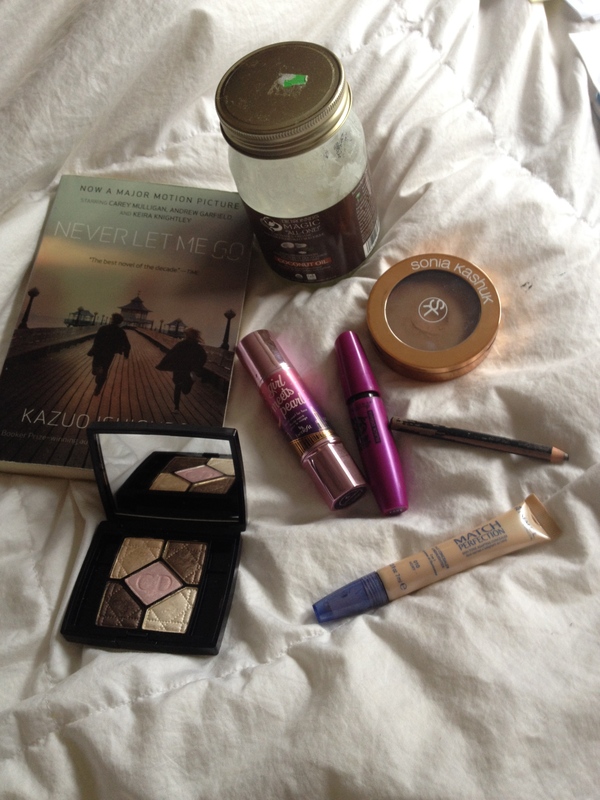 It’s a light liquid iridescent pink-champagne highlighter that gives the perfect dewiness that my dull skin lacks. I’ve almost used it daily this month and it is nicely radiant and brightening. This truly looks like dewy skin, not just shimmer on the cheekbones. This seems to be the never-ending eyeliner. It’s lasted for years and because it’s sharpened, there is no concern about the hygiene of doing so. I’ve always liked this but I’ve fallen back in love this month. I’ve used it almost every day to tightline and have used it many times on the lashline and waterline as well. It’s not the blackest black and I like that; sometimes I find that browns are too light and this is a happy medium between brown and black. The formula lasts a good amount of time (even in the waterline) but is not a hassle to remove like Urban Decay’s 24/7 Liners. It smudges out nicely and makes great smoky eyes. This has become my go-to undereye concealer/brightener/face highlighter because it does all those things and provide just enough coverage to hide my hereditary but also sleep-induced dark circles without looking heavy. I also like to bring it into the higher points of my face, as it is also a highlighter. Weirdly enough the shade I have is Ivory and Ivory in this is way lighter than Ivory in their Wake Me Up Foundation and less yellow toned but it’s a good highlighting concealer on me. 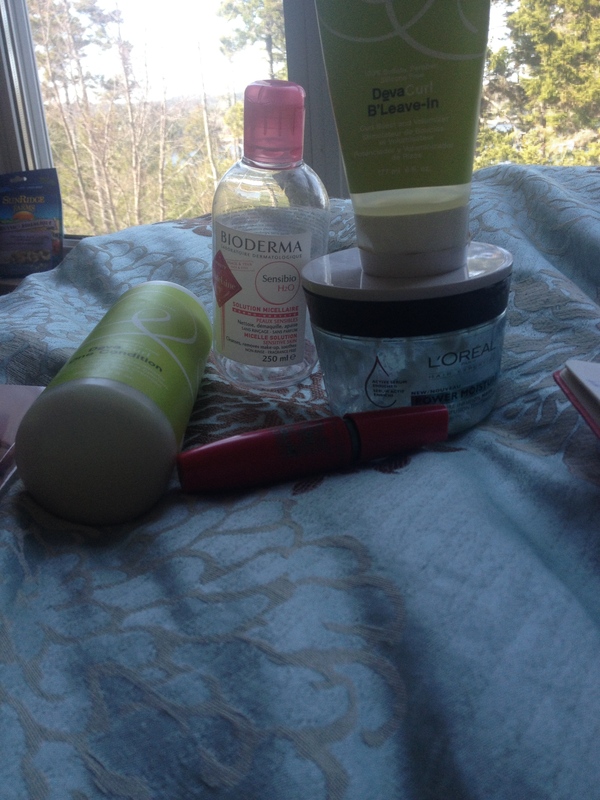 This is one of those products that makes me actually look alive. Exam-crunchtime essential. I’ve been weirdly into lip products this month but oddly enough, I haven’t stayed faithful to one enough to bring myself to include it. The same goes with nail polish – I’m not typically one of those Oh-em-gee lipstick/nail polish kind of girls.Err, so I originally intended for this blog to be solely beauty-oriented but lately I’ve been itching to include a few fashion and lifestyle posts into the mix. 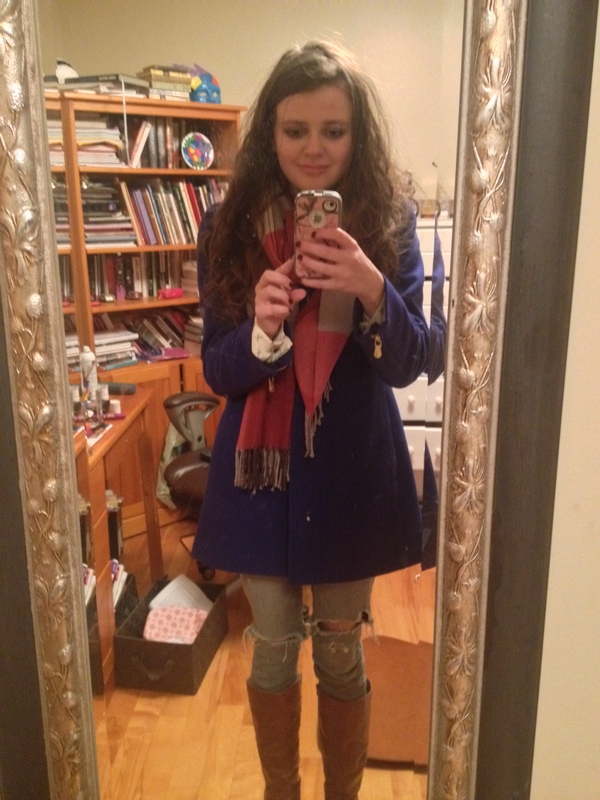 So about a month ago they had this coat on promotion for 40% off and I fell in love with it and it’s been amazing. 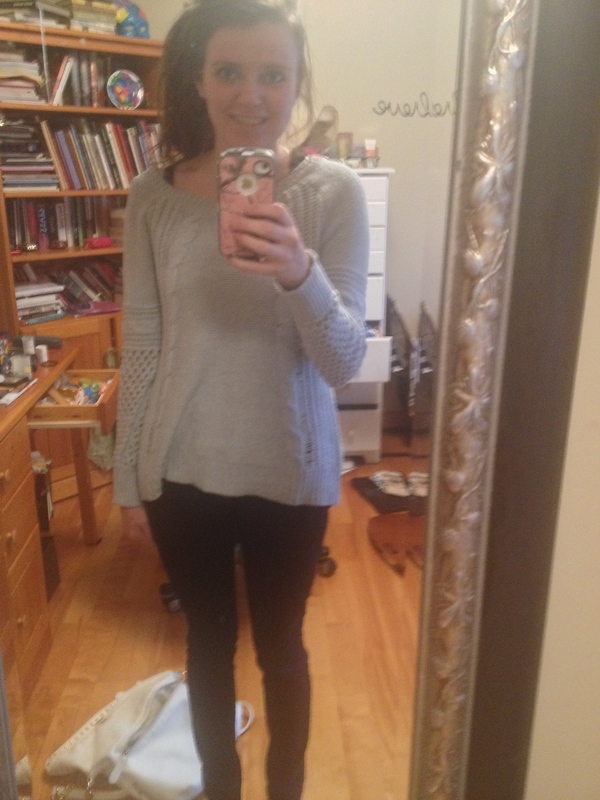 I love the 3/4 length of it because it can also be worn with dresses without looking awkward. It’s that flattering effortlessly pulled-together vibrant cobalt bold coat with that flattering fit. It’s warm, comfortable and in my humble opinion makes me look fashionable. A good portion of my wardrobe is from American Eagle – they seem to just do clothes right, laid back but fashionable, provide really good promotions and tend to fit me well. Sweaters are something they do best, however. I’ve been wearing this non-stop all month and it’s the perfect part nylon and wool cotton blend -warm and cozy without being too itchy or overheating. It’s the perfect cozy ‘sweater weather’ kind of slouchy sweater. I really like the pale blue for winter but that shade is no longer available but the cream, red and tan shades are gorgeous. It can be worn off the shoulders and really works with the easy skinny jeans and leather boots look. Love. I got mine 40% off and they tend to do these kind of sales often. Those who know me best would say that I am (a) entirely too beauty-obsessed and (b) angst-ridden, cynical and depressing for my own good. I’m sure you’re all to aware of the former trait but I haven’t talked too much of the latter. If you want to read something beautifully depressing and tragic to fill the void in your soul, this book is for you. It’s very gripping and easy to read, even though I had it assigned to me as a required reading but it has to be one of my all time favourites. I would describe it as a psychological dystopian type of novel. I’ve always liked the namesake song and it’s really resonated with my inner cynical and angst-ridden dark soul but I hadn’t listened to the album but I’ve been listening to it non-stop. I really love the mellowness and her unique voice and for those of you in university-hell with me it’s a good one for listening to while studying slash essay-writing-yourself-into-an-early-grave.